The Countertenor Daniel Gloger is inspiring contemporary composers to use new sounds and works like no other singer of his fach. He is always searching for the perfect interpretation of a work from the contemporary repertoire as well as in historical music and classical music. He is also very enthusiastic about contemporary music theatre. He collaborates particularly closely with Lucia Ronchetti, Jennifer Walshe, Adriana Hölszky, Georg Friedrich Haas, Oscar Strasnoy, Bernhard Lang and Enno Poppe. As a regular guest at new music festivals, he has sung in over 200 world premières, including at Ultraschall Festival Berlin, MaerzMusik Berlin, the Berliner Festspielen, the Musica Viva Munich, Klangspuren Schwaz, the Tage für Neue Musik Zurich, the Festival d’Automne Paris, the Printemps des Arts Monaco, Musicadhoy Madrid, the Ultima Festival Oslo and Warsaw Autumn. Daniel Gloger is a sought-after performer in contemporary music theatre thanks to his playfulness and characteristic voice. 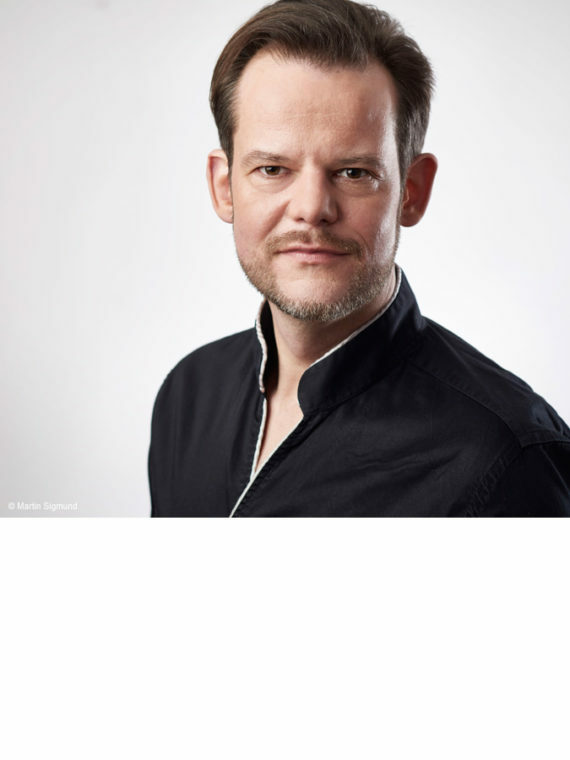 His excellent performances include the title role in Adriana Hölszky’s The Good God of Manhattan (Schwetzingen SWR Festival, 2004 and the Semperoper Dresden, 2005) and the title role in the première of Bernhard Lang’s Montezuma – Fallender Adler at the National Theater Mannheim (2010). 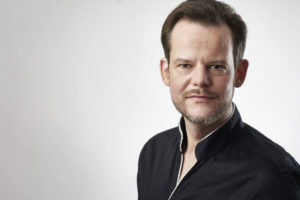 He successfully performed the première of the Bluthaus (2011), Thomas (2013) und Koma (2016) opera trilogy at the Schwetzingen SWR Festival, by Georg Friedrich Haas and the librettist Händl Klaus. He also sang in the new production of Bluthaus at the Wiener Festwochen, Kampnagel Hamburg, and the Staatstheater Saarbrücken in 2015. In 2017, he returned to the Wiener Festwochen for the world premiere of Bernhard Lang‘s Mondparsifal (staging: Jonathan Meese, conductor: Simone Young) performing the main role of Parzefool; the German premiere followed at the Haus der Berliner Festspiele. At the invitation of the Münchener Biennale 2018 his solo evening Up Close and Personal (Kaj Duncan David/Troels Primdahl) received great acclaim and will also be presented at the Eclat Festival and the Aarhus Festival in 2019. 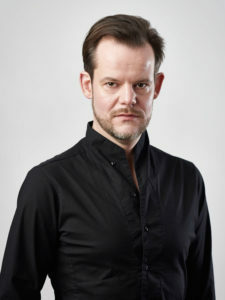 Daniel Gloger also performed at the Staatstheater Stuttgart (Chaya Czernowin’s Pnima), the Staatsoper Berlin (Lucia Ronchetti’s Lezioni di tenebra, Oscar Strasnoy’s Geschichte), the Staatstheater Saarbrücken and the Wiener Festwochen (Bluthaus), the Salzburg Festival (Judith based on Vivaldi’s Juditha triumphans) and at the Teatro Colón in Buenos Aires (Strasnoy’s Hochzeitsvorbereitungen and Geschichte). He sang in the première of Melancholia by G. F. Haas at the Opéra national de Paris, and subsequently at Den Nye Opera Bergen, Den Norske Opera Oslo and the Graz Opera. Daniel Gloger also regularly performs as part of the NACKT solo project he developed. In the 2018/19 season, Daniel Gloger will perform two works by Olga Neuwirth: Hommage à Klaus Nomi with the Ensemble Modern at the Kasseler Musiktage and The Outcast at the Elbphilharmonie Hamburg with the RSO Wien. In Geneva, he will sing Heinz Holliger‘s Induuchlen with the Ensemble Contrechamps. On the opera stage, he can be seen in the new production of Georg Friedrich Haas‘s Koma at the Stadttheater Klagenfurt and at the Opéra de Dijon. The project NAKED presents seven new compositions dedicated to the countertenor Daniel Gloger in combination of a theatre of light. Sound, body, and stage are closely intertwined. Who exposes themselves to whom? Where are the joints between eye and ear? How does a naked voice sound? The movement opens the space. Fragments of songs by the English composer Henry Purcell separate the works that were specifically commissioned for this project from each other as much as they establish new relations and take up the Baroque interest for mirror phenomenons, staging of light and a theatrical rhetoric which underpins the whole performance. The focus is the multi-dimensional play between hearing and vision. Alvaro Carlevaro – Umbral – Grabstein für A.
Catherine Milliken – Urge me not! For more information about the project please visit the website. Daniel Gloger is an absolute stroke of luck as the eponymous hero. The cast is as vocally solid as it is capable of delivering hilarious characterisations. Countertenor Daniel Gloger is technically unflappable as the bumbling, effeminate Parzefool/Parsifal.